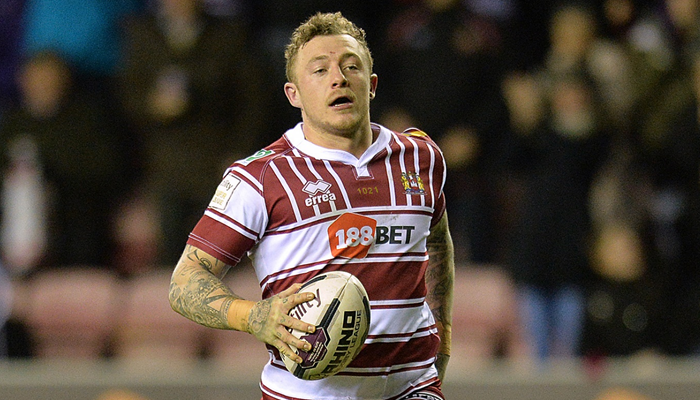 The top two in Super League go head-to-head at the DW Stadium tonight when Wigan Warriors host Warrington Wolves. Both sides had did differing results coming into this crunch clash with Warrington losing their unbeaten start to the season in a 26-24 loss against Hull FC whilst the Warriors beat Hull Kingston Rovers 30-16. Warrington, had previously beaten Leeds Rhinos, Hull KR, Wakefield Wildcats, Salford Red Devils, Catalans Dragons, Castleford Tigers and Widnes Vikings before coming unstuck against the Black and Whites. Hull had taken an early lead through Marc Sneyd but back hit the Wolves with two quick-fire tries from Ryan Atkins and former Hull man Tom Lineham. Jamie Shaul replied for the home side before the visitors extended their lead to ten points before the break through Kevin Penny and Chris Sandow to send the Wire in on the right end of a 20-10 scoreline. Early in the second-half after a superb Danny Washbrook break, clever hands from Sneyd put Curtis Naughton over in the corner to give Hull hope. With momentum swinging in their favour they scored again through Kirk Yeaman with Sneyd’s conversion giving the Black and White a slender 22-20 advantage going into the final fifteen minutes. Lineham crossed for his second try of the game to edge Warrington back ahead before Naughton completed his brace and seal a memorable victory. Wigan hosted an injury ravished Hull KR who had to field a number of youngsters with their mounting injury crisis but they defied their troubles and went into half-time 10-4 up. Joel Tomkins got the scoring underway but Josh Charnley was unable to add the extras before Graeme Horne and former Wigan Academy product Iain Thornley crossed. With the words of Shaun Wane no doubt ringing in their ears the Warriros restored parity early in the second-half through Charnley who raced all of 80-metres after a poor Ken Sio pass. But the Robins hit back through Kieran Dixon but as the game wore on fatigue got the better of the away side. Tries from Dom Manfredi and Oliver Gildart along with Charnley who completed his hat-trick late on sealed the comeback with a 30-16 win. Heading into this massive fixture Wigan are without Anthony Gelling (knee) and John Bateman (concussion) with Luke Waterworth also losing his place. Willie Isa is welcomed back after a six-week absence with a knee injury and Liam Farrell is again fit to participate after a shoulder problem. Young centre Jack Higginson completes the trio of changes. Tony Smith has made two changes to his 19-man squad which sees Jack Johnson and Declan Patton being replaced by Gene Ormsby and Joe Philbin. Wigan Warriors: Joe Bretherton, Greg Burke, Josh Charnley, Tony Clubb, Liam Farrell, Oliver Gildart, Nick Gregson, Jack Higginson, Willie Isa, Dom Manfedi, Lee Mossop, Sean O’Loughlin, Sam Powell, Dan Sarginson, Matty Smith, Ryan Sutton, Taulima Tautai, Lewis Tierney, Joel Tomkins. Warrington Wolves: Ryan Atkins, Daryl Clark, Jordan Cox, Ben Currie, Rhys Evans, Kurt Gidley, Chris Hill, Jack Hughes, George King, Tom Lineham, Gene Ormsby, Kevin Penny, Joe Philbin, Stefan Ratchford, Matty Russell, Chris Sandow, Ashton Sims, Joe Westerman, Ben Westwood. Published on April 1 2016 for Rugby AM. Leeds Rhinos are facing the prospect of three straight defeats for the second time this season when Hull Kingston Rovers travel to Headingley Stadium tonight. The Rhinos were again on the wrong end of a narrow scoreline losing 20-16 at home to Wakefield Wildcats in one of the surprising results of round eight. Wakefield struck first when Liam Finn’s short pass allowed Matty Ashurst to cross seeing Finn add the extras with a simple conversion. Unable to find their rhythm the Rhinos struggled to break down the stubborn Wildcats defence. However Joel Moon profited from a loose ball to go over just after the half hour mark with Liam Sutcliffe levelling the game. A late penalty ensured Wakefield headed into the break 8-6 up and that advantage was extended after half-time when Jacob Miller scored. Leeds responded four minutes later when Kallum Watkins reacted quickest to offload to Tom Briscoe who dived over. The home side took the lead when Mitch Achurch barged his way over with Sutcliffe adding the extras for a slender 16-14 lead but Wakefield weren’t done yet and with five minutes to go Craig Hall scored a breakaway try sealing the two points. Leeds hope Danny McGuire will finally make an appearance after he suffered a knee injury on the opening night of the season. A calf strain kept him on the sidelines over the Easter period but it is now thought he is fit to partake against the Robins. Brett Delaney will have a late fitness test ahead of the game and Carl Ablett returns to the side after sitting out their defeat against Wakefield. The Robins head to Leeds on the back of a defeat losing 30-16 away at Wigan Warriors but in truth the scoreline flattered their opposition who ran in three late tries against their youthful team. Hull KR could also be staring down the barrel of three straight defeats when they take on the Rhinos but they do have four players returning for their trip to Headingley with the returns of Terry Campese, Chris Clarkson, James Green and Shaun Lunt a timely boost for James Webster. The quartet replace John Boudebza, Ryan Shaw, Joe Cator and Will Oakes in the 19-man squad. The injury don’t seem to be getting any better however for the Robins with Josh Mantellato now confirmed to have broken his arm in the derby defeat against Hull FC. Add to that Ryan Shaw who is now out for the rest of the season with an ACL injury suffered in an innocuous tackle against Wigan and the Robins are up against it. Lee Radford faces a selection dilemma when his Hull FC side travel to Langtree Park to take on St Helens. Carlos Tuimavave, Sika Manu and Mahe Fonua all return to their 19-man squad having sat out their impressive 26-24 victory over the previously unbeaten Warrington Wolves. Frank Pritchard and Mark Minichiello, both sat out their win over the Wolves but should be back this round, prompting head coach Radford to say they had a large chunk of their salary cap sat in the stands.That said the team that took to the field against the Wolves featured eleven Hull-born players and to pull off a victory will have delighted their coach. Youngsters Jordan Abdull and Jansin Turget along with Jordan Thompson make way for the Black and Whites. 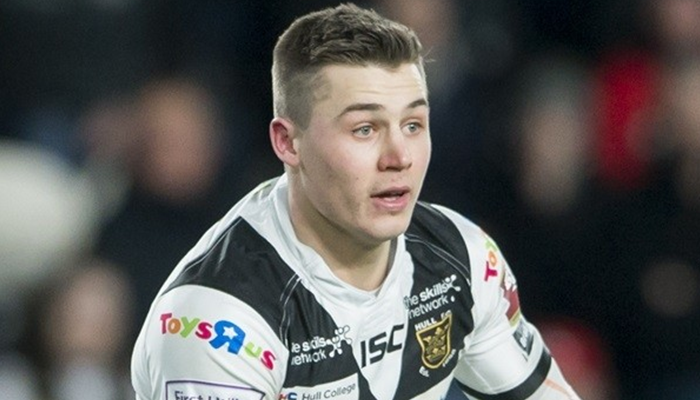 The Black and Whites head to Langtree Park full of confidence after three straight wins which, particularly over the Easter period, is no mean feat. St Helens come into this fixture wanting to back up their 20-12 Easter Monday victory over Widnes Vikings. The Saints held a 16-6 half-time lead after tries from Joe Greenwood, Louie McCarthy-Scarsbook and Tommy Makinson with Rhys Hanbury in reply for the Vikings. The second-half saw Luke Walsh kick two penalties edging his side closer to the points but Widnes hit back through the impressive Hanbury but it was too little too late as Saints held on. Keiron Cunningham has been forced into one change with the new that Tommy Makinson’s season is over after he suffered an anterior cruciate ligament injury paving the way for Morgan Knowles to be recalled into the 19-man squad. St Helens: Jordan Turner, Travis Burns, Luke Walsh, Alex Walmsley, James Roby, Kyle Amor, Jon Wilkin, Louie McCarthy-Scarsbrook, Greg Richards, Andre Savelio, Luke Thompson, Dominique Peyroux, Theo Fages, Joe Greenwood, Matty Dawson, Jack Owens, Shannon McDonnell, Morgan Knowles, Ricky Bailey. Hull FC: Josh Bowden, Gareth Ellis, Mahe Fonua, Chris Green, Dean Hadley, Danny Houghton, Sika Manu, Steve Michaels, Mark Minichiello, Curtis Naughton, Feka Paleaaesina, Jamie Shaul, Marc Sneyd, Scott Taylor, Carlos Tuimavave, Danny Washbrook, Liam Watts, Kirk Yeaman. 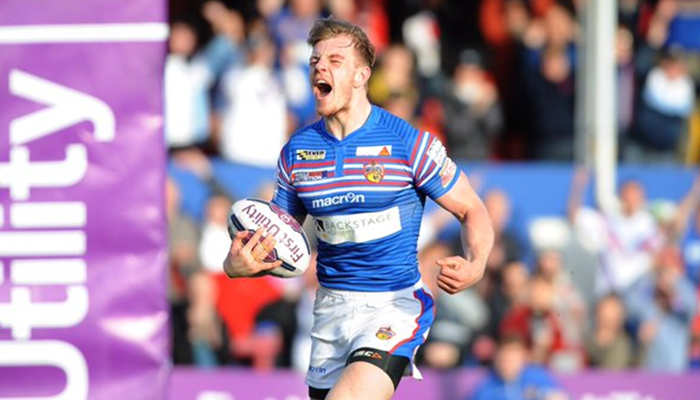 In-form Wakefield are looking for three consecutive wins for the first time this season when they host a Salford Red Devils side eager to build on their last round win. Wakefield, under new head coach Chris Chester, have enjoyed a fruitful spell since his appointment at the helm and have recorded victories over Huddersfield Giants and last round the 20-16 win over Leeds Rhinos. After some resolute Wildcats defence the club establishing an 8-6 half-time lead through a Matty Ashurst try accompanied by a Liam Finn penalty. They furthered their grasp on the game when Jacob Miller scored after the break but back fought Leeds who responded with tries from Tom Briscoe and Mitch Achurch to swing the game 16-14 in the Rhinos’ favour. But Wakefield weren’t done yet and with five minutes to go Craig Hall scored a breakaway try sealing the two points. Their opponents Salford bounced back from consecutive defeats to record a narrow 26-24 away win over Super League strugglers Huddersfield Giants. The lead exchanged hands no less than six times in a game which could have gone either way with Niall Evalds’ late try proving to be the decisive score. Chris Chester has made two changes to the side that beat Leeds last round with Anthony England and Anthony Tupou return from injuries replacing Chris Annakin and Andy Yates respectively. Salford have been dealt a blow that sees captain Tommy Lee and Greg Johnson sidelined for 4-6 weeks due to knee injuries picked up over the Easter period. Joining them in the treatment room is Mason Caton-Brown who was subject to an unpunished cannonball style tackle causing him a serious lower leg injury. Published on April 2 2016 for Rugby AM. Widnes Vikings travel to the Stade Gilbert Brutus to take on an in-form Catalans Dragons who themselves are looking to make it four straight wins. The Dragons have addressed their away day blues of late picking up two points on the road over Huddersfield Giants and Salford Red Devils on Good Friday. That was backed up by the convincing 41-22 triumph over Castleford Tigers on home soil as the Dragons climb up to fifth in the table. The French side ran in seven tries including braces for Todd Carney, who recently has been nominated for Super League Man of the Month award, along with Morgan Escare – with Greg Minikin and Joel Monaghan’s two tries a piece in vain for the away side. Widnes have come unstuck in recent weeks losing to both Warrington Wolves and St Helens, defeats which have seen the Vikings slip down to third in the ladder. A crowd of 9,076 at the Select Security Stadium saw Widnes take on Saints but the majority left disappointed after losing 20-12. In terms of team news Catalans Dragons should welcome back Pat Richards and Richie Myler who, despite being named in their 19-man squad, sat out their Easter Monday fixture. Head coach Laurent Frayssinous has made just the one change which sees Olivier Elima replace the injured Remi Casty with the latter set for a spell on the sidelines after fracturing rib cartilage. Widnes continue to be without half-back Kevin Brown along with Lloyd White, Stefan Marsh and Hep Cahill. However the return of Charly Runciman and Paddy Flynn are a welcome addition with Cahill, Alex Gerrard and Brad Walker miss out. Following a successful loan spell at Whitehaven, Jay Chapelhow is also included in Denis Betts’ side. Castleford Tigers have a number of key players missing for their game against Huddersfield Giants at the Mend-A-Hose Jungle on Sunday. The Tigers are already with Luke Dorn, Michael Shenton, Ben Roberts, Oliver Roberts, Junior Moors, Frankie Mariano, Gadwin Springer and Ash Robson for their clash with Huddersfield. Joel Monaghan, who has scored three tries so far this season, now joins the aforementioned players in the treatment room with a back complaint. Matt Cook returns from a two-match suspension along with Lee Jewitt with the duo replacing Monaghan and Conor Fitzsimmons. Coming into this match, Cas have mixed form winning only one win in their last five matches, a sequence of results that has seen them slide down to 8th place. After the Good Friday 18-14 win over Leeds Rhinos, the Tigers faced the notoriously difficult trip to the South of France to take on Catalans Dragons and fell short losing 41-22. The French outfit ran in seven tries including braces for Todd Carney and Morgan Escare with Greg Minikin and Joel Monaghan also bagging braces albeit in vain. Given the mounting injury crisis facing Castleford this maybe the perfect opportunity for Huddersfield to play Cas. The recent results between the two sides are also going in the favour of the Giants having recorded three wins out of three over their opponents last season. 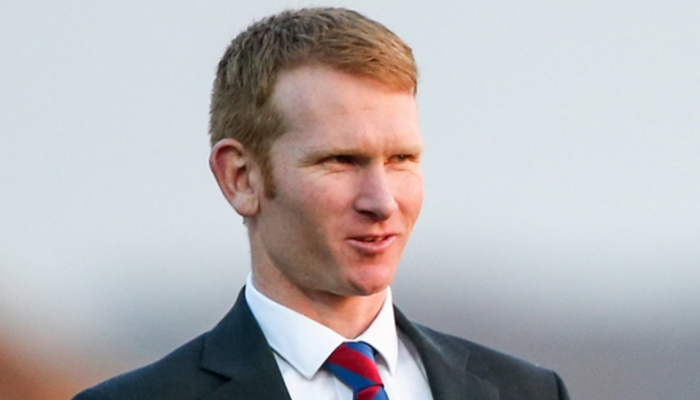 Under pressure Paul Anderson has said he is desperate for a victory to kick-start their campaign having just one win to their name. The club again lost out on the two points going down 26-24 against Salford Red Devils and had looked on course for the win before tries from Justin Carney and Niall Evalds saw the away side take all the points. Anderson has made two changes bringing Joe Wardle, who has completed his suspension, and Kruise Leeming in for Jmaie Foster and Nathan Mason. Published on April 3 2016 for Rugby AM.